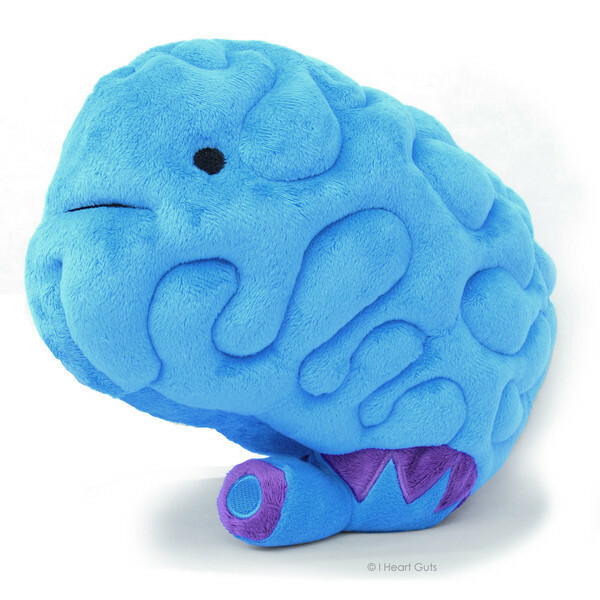 Enormous super-soft high-quality 11" x 9" x 5" plush comes with a fantastic booklet-style hangtag with loads of art, information about the boss of the body and silly trivia about your most neurotic organ. The brain is the boss of your body. As the body's command center, it keeps all the organs in check. Of course it also takes care of memory, imagination, speech and dreams. Also doubles as a soft football when your brain drives you crazy.